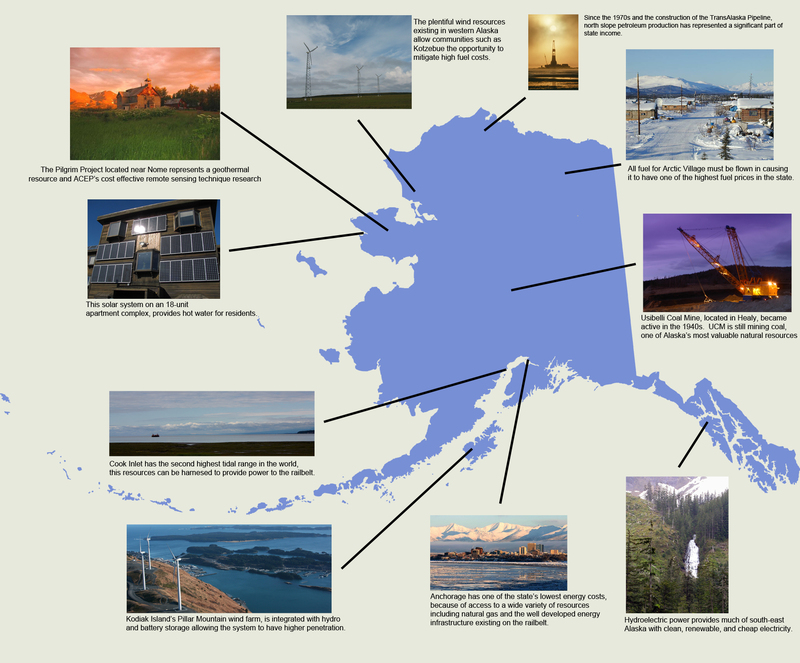 The Alaska Energy Wiki is designed to help readers like you learn about Alaska's diverse energy needs. We strive to make the information accessible to a wide audience, so whether you are a student or a leader looking for solutions for your community, you will be able to quickly find the information you need. Here, you can find information about raw energy resources and the technology developed to utilize those resources as well as some of the challenges that these resources and technologies present. You can also access information about many of the energy related projects across the state and their current status. Additionally, the Alaska Energy Wiki provides information and links to energy events in Alaska, as well as state, local, and federal organizations that focus on energy related issues. The site is constantly changing and being updated with new information, so please check back frequently to see what has changed! If you think of a topic, resource, technology, organization, or event that you would like to see featured on the wiki, please consider becoming a contributing member by joining, or feel free to contact us and let us know. Your guide to Alaska's unique energy needs, issues, and solutions. Share the Alaska Energy Wiki on Facebook!